COLEMAN - The Coahoma Bulldogettes powered over the Lady Bluekatts Saturday morning to take the match in three sets 25,22; 25,20; and 25-18. MaKynlee Overton had 9 kills and three blocks for Coahoma. Fellow teammates Paige Atkins and Caitlyn Corley had 6 kills each. Julia Mashburn and Jaydan Mann had 10 assists a piece. Following the early morning varsity game, the Bulldogette junior varsity team also won against Coleman. The score was 25,18; 25, 17. 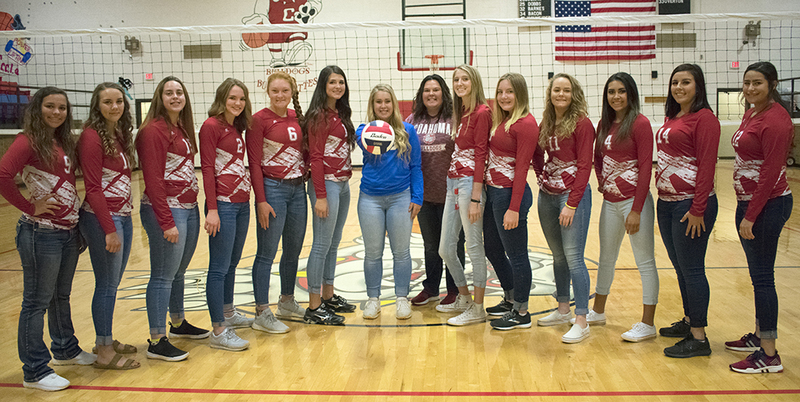 Next: The Coahoma volleyball squads will host the Clyde Lady Bulldogs Tuesday. It’s also senior night. The ceremony will begin about 6:15 p.m. in the CES competition gym with the varsity game to follow. The two junior varsity games will start at 4:30 p.m. and 5:30 p.m.